The EVS project “Notice it! Human Rights in our daily lives” finished on 31st May after running for 10 months. The European Foundation of Human Rights (EFHR) had the role of both coordinating and hosting organisation and the International Voluntary Service (IVS) from Great Britain was the sending institution of this project. 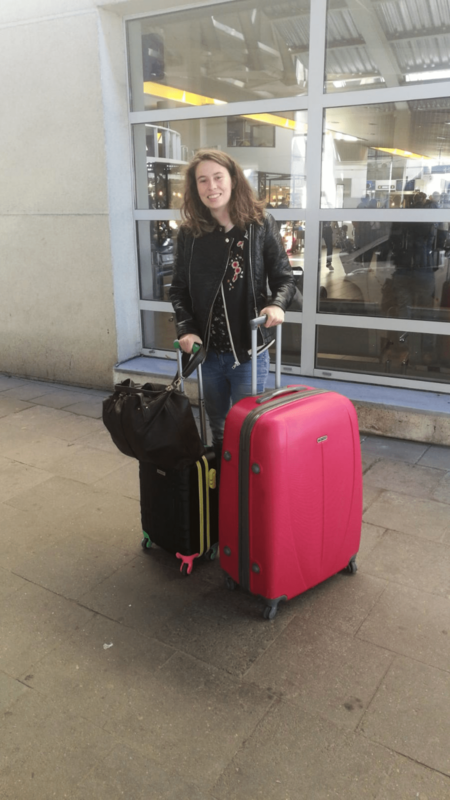 This project that started on the 1st of August of last year it was fully funded by the Erasmus+ programme and the EVS Volunteer Carmen Cara Lorente had successfully pursued the aims of this project during the last ten months at the EFHR. Those aims were to promote the awareness of Human Rights within the local community and to promote EVS and Erasmus+ programmes. As an EVS, Carmen had to carry out a wide variety of activities: workshops, seminars and lectures, to write press releases and reports and to research on topics related to Human Rights and national minorities. She also enjoyed monthly trips to different places in Vilnius in order to increase her cultural awareness. She attended a course of Lithuanian language and different trainings in which she had the chance to meet other EVS volunteers of Lithuania. Carmen’s impressions of Lithuania after almost a year are very good. She considers Vilnius as a really interesting and beautiful city where many cultural activities and events take place. During her spare time, she enjoyed visiting Vilnius Old Town as much as she could. Furthermore, she travelled during the weekends. Carmen could visit Latvia, Estonia, Poland, Belgium and Sweden in addition to some beautiful places of Lithuania like Klaipeda, Kaunas or Trakai. The EVS volunteer will always remember this valuable time spent in Lithuania and volunteering for the EFHR. She learned many things about Human Rights and national minorities and how an NGO works. She also gained non-formal learning competences such as communication in foreign languages and teaching experience, among many others. Carmen and the EFHR team spent ten amazing months working together and both the goals of the EVS project and the EVS personal expectatives were completed.